Prof. Seager has been a pioneer in the vast and unknown world of exoplanets, planets that orbit stars other than the sun. For her Ph.D. thesis at Harvard she studied the atmospheres of so-called hot Jupiter planets—large, gaseous bodies orbiting close to their host stars. At that time many scientists were skeptical of the new planets, but they kept turning up, and Seager’s early work was eventually validated. Now her ground-breaking research ranges from the detection of exoplanet atmospheres and the characterization of the interior structures of these planets, to the development of novel space telescopes, and on to innovative theories about life on other worlds. Like an astronomical Indiana Jones, she’s on a quest after the field’s holy grail—the discovery of a true Earth twin. Prof. Seager received her B.Sc. in mathematics and physics from the University of Toronto in 1994 and her Ph.D. in astronomy from Harvard University in 1999. Before joining MIT in 2007, she spent four years on the senior research staff at the Carnegie Institution of Washington preceded by three years at the Institute for Advanced Study in Princeton, NJ. 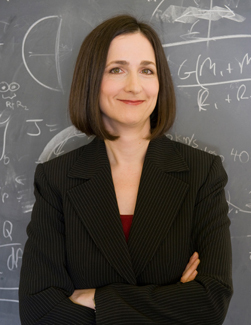 She was the 2012 recipient of the Raymond and Beverly Sackler Prize in the Physical Sciences and the 2007 recipient of the American Astronomical Society’s Helen B. Warner Prize. She has been recognized in the media by Popular Science Magazine’s Fifth Annual Brilliant Ten in 2006, Discover Magazine’s “Best 20 under 40” in 2008, and she was named in Nature’s Top Ten in 2011. This event is produced in cooperation with the MIT Alumni Association as a Faculty Forum. Photos courtesy of Prof. Seager.